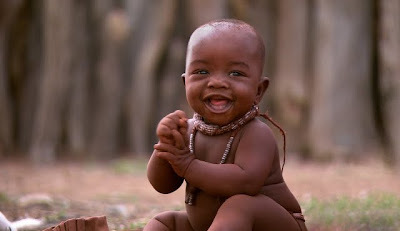 Without the use of any narration, interview footage, background details or a more appropriate television special length, award-winning anthropological filmmaker Thomas Balmes' feature effort Babies is left crawling on the ground with nothing but its adorableness to save it for a tedious hour and roughly twenty minutes. Filmed digitally with the aid of tripods so that nothing except the babies move – again to its yawn-inducing peril – the film's basic premise has all the promise of a newborn in centering on the first fifteen months in the life of four babies in vast distances around the globe. However, the points it makes about the universality, commonalities and differences between child-rearing in Mongolia verses San Francisco, for example are established long before we reach the halfway point. 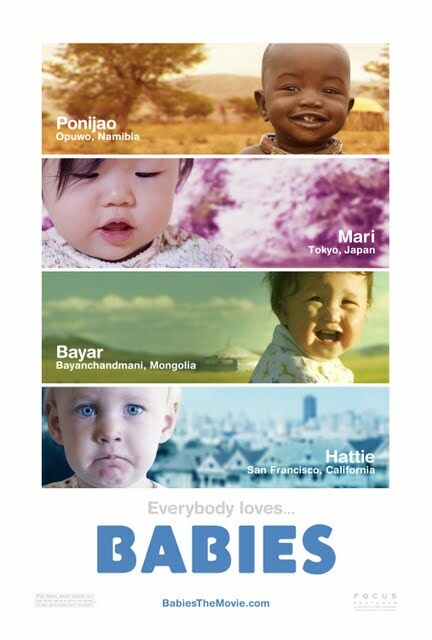 Following three beautiful baby girls and one boy in the aforementioned locations along with Namibia and Japan as well, the filmmakers are there to capture the important firsts for the tiny tots whether they're being born or trying to stand alone on their own two feet. And there's a definite all-encompassing, life-affirming appeal about the movie since watching the quartet of children who blossom under the adoration of adults is like opening up a living photo album of so many lives since we all started out the same whether we played with dirt or colorful plastic. Yet much like that photo album in question, the filmmakers are asking a lot of their audience by leaving the camera static for minutes at a time without a single cut. More an earnest, well-intentioned experiment than a true motion picture, Balmes' film is one that will no doubt find a core audience among sociology, child psychology, anthropology scholars not to mention individuals who go up to strangers on the street to gush over pregnancies and strollers and/or purchase Anne Geddes' artwork by the truckload. Unfortunately, the well-intentioned Babies never quite manages to find its legs. And as cute as these babies are, it's the type of film that I wouldn't recommend even for the curious who will no doubt be looking at their watch within the opening sequence, wondering why on Earth they left the house and paid a babysitter when they could've seen the exact same thing at their home or a neighbor's.